The votes are in and counted, and the preliminary news is good for ASCE 7-16. Governmental members of the International Code Council voted to adopt ASCE 7-16, Minimum Design Loads and Associated Criteria for Buildings and Other Structures as an International Code Council reference standard. It is important to note that the voting results are preliminary. The ballot must be certified by ICC’s governing rules before it becomes official. 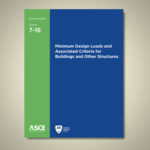 Once the vote is official, ASCE 7-16 will be included as a reference standard in the 2018 International Building Code, which is adopted nationally as state and local jurisdiction building code, as well as in the 2018 editions of the International Residential Code and International Existing Building Code. ASCE 7-16, the Society’s signature standard, is scheduled for publication in early 2017 with a user-friendly online version available for the first time. It features several important updates from the 2010 edition, including new wind-speed maps that result in reduced wind speeds for much of the country and clarification of the special wind study zones; updated seismic site coefficient tables; and an entirely new chapter with tsunami design provisions. The adoption is a victory for ASCE members, who were called upon in the last month to encourage ICC governmental members – often local fire marshals and building officials – to support ASCE 7-16 in the face of organized opposition from the National Association of Home Builders. This is interesting, now my question iS will this change apply nation wide? Congratulations to all the structural engineers who have worked diligently to prepare the new edition of the ASCE 7-16 loads standard, and to those who backed the effort to have it adopted by the ICC. Well done!